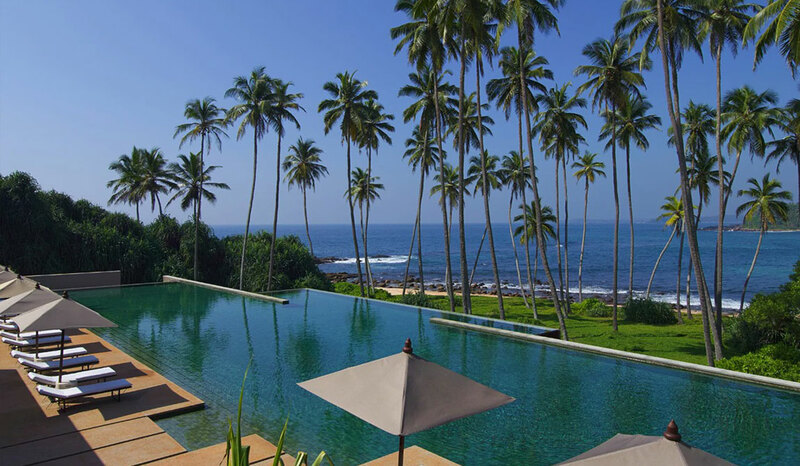 The distinct contemporary design of Amanwella is inspired by Geoffrey Bawa’s neat angles of the last century. The Tropical Modernist movement visible across southeast Asia resonates worldwide thanks to the Sri Lankan architect’s trademark blend of Corbusian minimalism and indigenous materials. All Suites open on two sides to private plunge pools and large terraces facing out to sea. Overlooking a deserted crescent of ivory sands, the 150-foot-long swimming pool is one of the world’s most talked-about.